Openreach (BT) is to cut the prices of their wholesale “fibre broadband” (FTTC and FTTP) products to ISPs by up to 40%, which they say is designed to encourage providers to switch more of their old copper line (ADSL) users on to faster internet connections and this in turn will help to improve coverage. The discounted prices within the offer are available on all variants of Openreach’s Fibre-to-the-Cabinet (FTTC) products, which include both their estimated VDSL2 (up to 80Mbps) and latest G.fast (up to 330Mbps) hybrid fibre lines across the United Kingdom. Related services are available to the vast majority of the UK. Sadly the price cut will only benefit some ultrafast up to 330-1000Mbps Fibre-to-the-Premises (FTTP) locations, mainly New Sites and Broadband Delivery UK areas (i.e. excluding their ‘Fibre First‘ cities), although all FTTP volumes will count toward the offer targets. Openreach currently aims to cover 3 million premises with FTTP by the end of 2020 and they hold an aspiration for 10 million by c.2025. The idea is that this promotion will help to encourage consumers off older and slower ADSL (up to c.20Mbps) copper lines, which in turn will both assist in lifting the country’s average broadband ISP speeds and help to expand coverage by raising take-up in state aid supported (BDUK) areas. The above reinvestment is what will help to lift “superfast broadband” (24Mbps+) network coverage from c.95% today to 98% of UK premises by 2020. Better take-up means more opportunity to go beyond 98%. “We’ve invested more than 11 billion pounds into our network over the last decade and whilst that’s helped the UK become a global digital leader, there are still millions more homes and businesses that could benefit from the better broadband infrastructure we’ve built. Full details of the new wholesale offer pricing can be found here, although it’s worth remembering that this is NOT reflective of the price that ordinary consumers like you or I will pay at retail. As usual providers still have to add various costs on top, such as 20% VAT, network, features and a profit margin etc. We also note that the offer only goes to the 160Mbps tier, which suggests that there won’t be a discount on faster tiers (e.g. 330Mbps+). 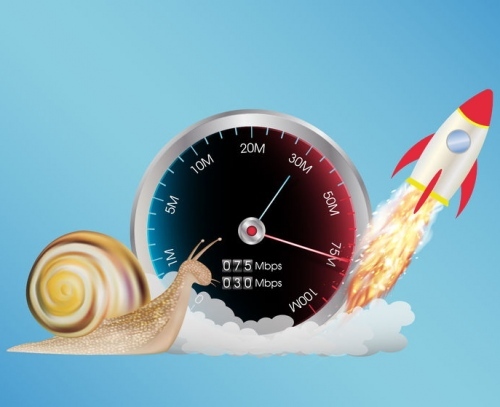 The offer itself, which will be introduced from 21st August 2018, is sadly quite complicated and will be available to any ISP – including small providers – that grows its FTTC and FTTP customer base on Openreach’s superfast or ultrafast network by an agreed proportion over a 3 or 5 year period. The offer term is broken into 6-month periods over which a provider’s performance against its target is measured and any discounts will be paid back as a rebate in the month following the end of the period. The challenge in all this for ISPs won’t just be with respect to achieving the target growth but also with how they adjust their pricing for all consumers, given the price differences for different levels of growth and the availability of discounts in some FTTP areas but not others. On top of that it also makes it a darn sight harder for us to communicate the changes. As an example, Openreach currently charges an annual rental of £69.59 +vat (after Ofcom’s recent wholesale charge control) for their 40Mbps (10Mbps upload) FTTC and FTTP tier, which works out as £5.80 per month. Under the discount system this could fall to just £4.99 (i.e. a 14% or 81p monthly saving) for ISPs delivering the strongest growth / take-up. Other products will see even bigger discounts up to 40%. Just for reference, here are the normal standard charges for the different products (without any of the new discounts or ISP scale being applied). Added an example of the impact directly above. And it is really low flying pig territory if anyone expects the ISPs to cut the price to the consumer. You just need to look at the ever decreasing Openreach phone line rental to see that the ISPs ignore any price cuts from Openreach that could favour the consumer. I think it is likely that FTTC prices will be brought more in line with ADSL prices. If not for existing customers by an ISP, then by other ISPs who want to gain customers. There are already some very good prices available – this will just make the special offers more permanent. Of course it won’t help anyone who can’t get FTTC – it will only make altnets look much more expensive than Openreach based ISPs, which probably won’t help rollouts to the remaining ADSL only areas. Yes it does give ISPs scope to offer a bigger discount for new customers if they wish than they currently do. But I feel they would prefer to increase their profit margin first and foremost. Great for consumers in the short term. Not so good for Alt Nets trying for market share. And a bit of a nightmare for VM’s lower tier products price wise. As we discussed on the copper switch off thread this is a cheapo VDSL offering to encourage CP’s to migrate their customers off the ADSL/ADSL2+ products. The downside with this approach as @AndrewFerguson sensibly pointed out is that if everyone has a decentish cheap as chips connection that woks fine why bother with the premium fibre products? This may well drive FTTP take-up down to very low levels. So I am sensing that the getting rid of copper from the PCP to the exchange is seen as the way forward by OR as step one of getting rid of copper roadmap. Worth checking out the second slide. The ‘volume and mix target’ section covers this. However you look at it the main thrust is getting FTTC moved to Gfast to presumably free line card space in the DSLAM and then move the ADSL to FTTC. And as someone else pointed out this shifts UK average spreeds up with no real investment in infrastructure. https://www.ispreview.co.uk/index.php/2018/07/cityfibre-uk-joins-european-alliance-to-boost-full-fibre-broadband.html#comment-192733 – if you let me know what you think the restrictions are I’ll be happy to fill you in. The actual way the network is constructed doesn’t prevent 3.1. It’s mid-way between star and line and there are tens of millions of line and branch networks with 3.1 enabled. That’s mainly because the league tables simply rank the average speed of what people buy, not what is available. It’s a weakness of the methodology. That said, FTTP is not magic despite what some people on here think, I t’s still affected by contention, backhaul constraints etc. That is presumably why the predominantly FTTB deployments in countries like South Korea show relatively small average speed differences to the U.K. even now, despite the large numbers of people still opting for ADSL here. @New_Londoner. Don’t forget the significant factors of slow WiFi and package choice etc. Somebody might have 1Gbps+ but that doesn’t matter a jot if most people connect devices via WiFi that struggles to do more than a few tens of megabits when just a couple of rooms away from the router. You can also buy a bottom end package on FTTP. There are many ways to benefit from FTTP not just speed. -Low latency can be more important to some people who’s life is online interactive stuff. So the prosumer they may get what they want from FTTP without going for a 1Gb package. – above comments are very true:- drive down price (Ofcoma nd Eu are fixated on this) and you kill the alt-net investment case. Better that true value is shown and priced accordingly – ie real FTTP and then FTTC – with competitive but not capped pricing and the CityFibre etc will continue to thrve. One of the gains from FTTP is exchanges and (many) cabinets can be retired. Right, I am still on 10Mbit ADSL line as my landlord won’t let me install Virgin (drill holes in the wall). How do you fight that? Sigh. The gov white paper did float a right of entry. So this issue may become historic. And OR inherited a unique power to fit phone cables to Listed Building GS without listed building consent. So there is a degree of precedent for this. The ROE looks very interesting but the detail matters. Exactly what do they have a right to do..
It’s important to note that this is not a reduction in FTTC prices by Openreach. It is a sales incentive liked with a rebate scheme. Providers who buy directly from Openreach can benefit, providing they can commit to challenging targets. There are various levels or rebate depending on existing fibre penetration %, monthly run rate and ability to commit to an increase in sales run rate. For example one level has a target of increasing net monthly adds by 75% in a set time period. Not an easy target for any ISP. So many providers will not be able to commit to the target. And those that do are not guaranteed hitting target and so not guaranteed a rebate. With this in mind you are more likely to see special offers designed to win new business, especially for customers who currently have ADSL. This is categorically NOT a wholesale price reduction so don’t expect or demand ISPs slash there prices. That is a very good way to read this. However, the reality is that if everyone is offering special offers it puts downward price pressure into the market otherwise CP A nearly bleeds customers to CP B if they do nothing. So retention schemes etc are born. I agree this is all about migrating FTTC to Gfast and ADSL to FTTC. But as others have pointed out his also has the added benefit of massively boosting headline speeds UK wide. OR have spent the money on Gfast, and we can debate wether that made sense till the cows come home, but they need to show rapid take up on that to convince investors that it was a good bet. The money is spent so OR may as well earn something rather than nothing for all the new PCP shells and pods that have been sprayed around the place. No, it is simply incentivising CP’s to move people from legacy tech. The politics of this are very complex but for once OR has come up with a sensible workable solution that everyone can get on with. Yes, but it is not incentivising everyone equally. Only if you are a CP above a certain size will you see benefit. I would guess at the following process. Step 1 OR is trying to get to the CP’s with equipment in the exchanges to incentivise them to move as much as possible. They the CP’s with installed gear incentives virtual CP’s they resell to, to move their users to other services. In areas where this works reasonably well AND there is full coverage of alternates, then they will move to stage 2 where OR will then have to look at the remaining few outliers and come up with bespoke incentives to shift the last few percent onto other services. And/or just set a hard switch off date for ADSL. This could happen quite fast in places where there in no longer a real need for ADSL such as Exchange Only Lines.